The history of the four Judicates would be defined by the contest for influence between the rival rising sea powers of Genoa and Pisa, and later the ambitions of the Kingdom of Aragon. 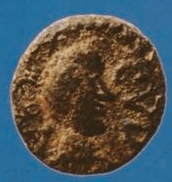 The Judicate of Cagliari (or Pluminos), during the regency of Torchitorio V of Cagliari and his successor, William III, was allied with the Republic of Genoa. Because of this it was brought to an end in 1258, when its capital, Santa Igia, was stormed and destroyed by an alliance of Sardinian and Pisan forces. The territory then was divided between the Republic of Pisa, the Della Gherardesca family from Italy, and the Sardinian Judicates of Arborea and Gallura. Pisa maintained the control over the fortress of Castel di Cagliari founded by Pisan merchants in 1216/1217 east of Santa Igia; in the south-west the count Ugolino della Gherardesca promoted the birth of the town of Villa di Chiesa (today Iglesias) to exploit the nearby rich silver deposits. 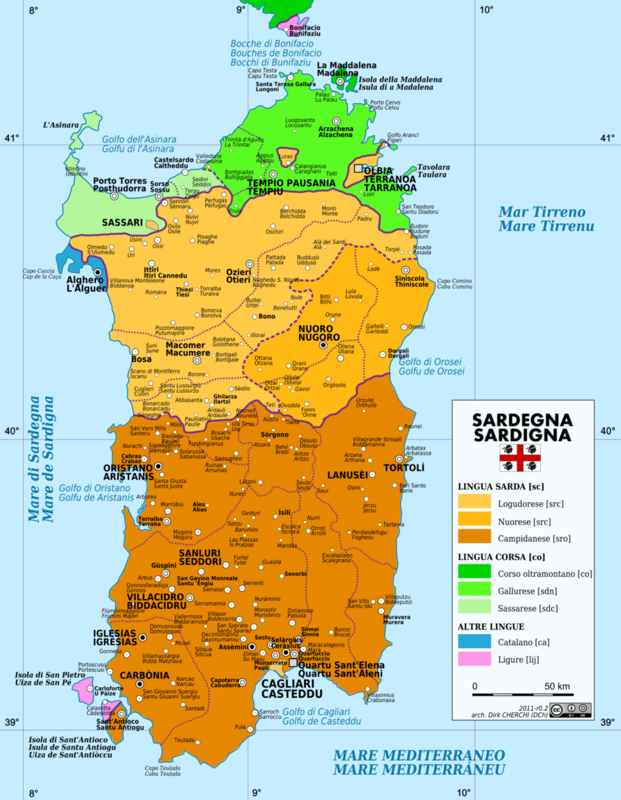 In 1718, with the Treaty of London, Sardinia was handed over to the House of Savoy, that would impose the Italian language on the island in 1760. In 1793, Sardinians repelled the French Expédition de Sardaigne during the French Revolutionary Wars. On 23 February 1793, Domenico Millelire, commanding the Sardinian fleet, defeated the fleets of the French Republic near the Maddalena archipelago, of which then-lieutenant Napoleon Bonaparte was a leader. Millelire became the first recipient of the Gold Medal of Military Valor of the Italian Armed Forces. In the same month, Sardinians stopped the attempted French landing on the beach of Quartu Sant'Elena, near the Capital of Cagliari. Because of these successes, the representatives of the nobility and clergy (Stamenti) formulated five requests addressed to the King Victor Amadeus III of Sardinia, but these were rejected, Because of this discontent, on 28 April 1794, during an uprising in Cagliari, two Savoyard officials were killed. That was the start of a revolt (called the "Sardinian Vespers") in the island, which culminated on 28 April 1794 (commemorated today as sa die de sa Sardigna) with the expulsion or even execution of the Piedmontese officers for a few days from the Capital Cagliari. In 1798 the islet near Sardinia was attacked by the Tunisians and over 900 inhabitants were taken away as slaves. The final Muslim attack on the island was on Sant'Antioco on 16 October 1815, over a millennium since the first. In 1799, as a consequence of the Napoleonic Wars in Italy, the Savoy royal family left Turin and took refuge in Cagliari for some fifteen years. In 1847, the Sardinian parliaments (Stamenti), in order to get the Piedmontese liberal reforms they could not afford due to their separated legal system, renounced their state autonomy and agreed to form a union with Piedmont, Savoy, Nice and Liguria in order to have a single parliament, a single magistracy and a single government in Turin; this move aggravated the island's peripheral condition and most of the pro-union supporters, including its leader Giovanni Siotto Pintor, would later regret it. Cagliari (UK: , US: ; Italian: [ˈkaʎʎari] (listen); Sardinian: Casteddu [kasˈteɖːu]; Latin: Caralis) is an Italian municipality and the capital of the island of Sardinia, an autonomous region of Italy. Cagliari's Sardinian name Casteddu literally means castle. It has about 155,000 inhabitants, while its metropolitan city (including Cagliari and 16 other nearby municipalities) has more than 431,000 inhabitants. According to Eurostat, the population of the Functional urban area, the commuting zone of Cagliari, rises to 476,974. Cagliari is the 26th largest city in Italy and the largest city on the island of Sardinia. Cagliari was the capital of the Kingdom of Sardinia from 1324 to 1848, when Turin became the formal capital of the kingdom (which in 1861 became the Kingdom of Italy). Today the city is a regional cultural, educational, political and artistic centre, known for its diverse Art Nouveau architecture and several monuments. It is also Sardinia's economic and industrial hub, having one of the biggest ports in the Mediterranean Sea, an international airport, and the 106th highest income level in Italy (among 8,092 comuni), comparable to that of several northern Italian cities.It is also the seat of the University of Cagliari, founded in 1607, and of the Primate Roman Catholic archdiocese of Sardinia, since the 5th century AD. Charles Albert (Italian: Carlo Alberto I; 2 October 1798 – 28 July 1849) was the King of Sardinia from 27 April 1831 to 23 March 1849. His name is bound up with the first Italian constitution, the Albertine Statute, and with the First Italian War of Independence (1848–1849). During the Napoleonic period, he resided in France, where he received a liberal education. As Prince of Carignano in 1821, he granted and then withdrew his support for a rebellion which sought to force Victor Emmanuel I to institute a constitutional monarchy. He became a conservative and participated in the legitimist expedition against the Spanish liberals in 1823. He became king of Sardinia in 1831 on the death of his distant cousin Charles Felix, who had no heir. As king, after an initial conservative period during which he supported various European legitimist movements, he adopted the idea of a federal Italy, led by the Pope and freed from the House of Habsburg in 1848. In the same year he granted the Albertine Statute, the first Italian constitution, which remained in force until 1947. Charles Albert led his forces against the Imperial Austrian army in the First Italian War of Independence (1848–1849), but was abandoned by Pope Pius IX and Ferdinand II of the Two Sicilies and was defeated in 1849 at the Battle of Novara, after which he abdicated in favour of his son, Victor Emmanuel II. Charles Albert died in exile a few months later in the Portuguese city of Porto. The attempt to free northern Italy from Austria represents the first attempt of the House of Savoy to alter the equilibrium established in the Italian peninsula after the Congress of Vienna. These efforts were continued successfully by Victor Emmanuel II, who became the first king of a unified Italy in 1861. Charles Albert received a number of nicknames, including "the Italian Hamlet" (given to him by Giosuè Carducci on account of his gloomy, hesitant and enigmatic character) and "the Hesitant King" (Re Tentenna) because he hesitated for a long time between the establishment of a constitutional monarchy and the reinforcement of absolute rule. Charles Emmanuel III (27 April 1701 – 20 February 1773) was the Duke of Savoy and King of Sardinia from 1730 until his death. Charles Emmanuel IV (Carlo Emanuele Ferdinando Maria; 24 May 1751 – 6 October 1819) was King of Sardinia from 1796 to 1802. He abdicated in favour of his brother Victor Emmanuel I.
Nulvi (Sardinian: Nùivi) is a comune (municipality) in the Province of Sassari in the Italian region Sardinia, located about 180 kilometres (110 mi) north of Cagliari and about 20 kilometres (12 mi) northeast of Sassari. It is one of the main centers of the Anglona historical regione. Nulvi borders the following municipalities: Chiaramonti, Laerru, Martis, Osilo, Ploaghe, Sedini, Tergu. The Nuragic civilization, also known as the Nuragic culture was a civilization or culture on the island of Sardinia, the second largest island in the Mediterranean Sea, which lasted from the 18th century BCE (Bronze Age) to 238 BCE when the Romans colonized the island. Others date the culture as lasting at least until the 2nd century CE or possibly even to the 6th century CE.The adjective "Nuragic" derives from the island's most characteristic monument, the nuraghe, a tower-fortress type of construction the ancient Sardinians built in large numbers starting from about 1800 BCE. Today more than 7,000 nuraghes dot the Sardinian landscape. No written records of this civilization have been discovered, apart from a few possible short epigraphic documents belonging to the last stages of the Nuragic civilization. The only written information there comes from classical literature of the Greeks and Romans, and may be considered more mythological than historical. Olbia (Italian: [ˈɔlbja] (listen), locally [ˈolbja]; Sardinian: Terranoa; Gallurese: Tarranoa) is a city and comune of 60,345 inhabitants (May 2018) in the Italian insular province of Sassari in northeastern Sardinia (Italy), in the Gallura sub-region. Called Olbia in the Roman age, Cività in the Middle Ages (Giudicati period) and Terranova Pausania before the 1940s, Olbia was again the official name of the city during the period of Fascism. From 2015, the provinces were reorganized into "institutional bodies of second level", with the birth of 10 special Metropolitan cities. A further 4 such cities were added later.There are currently 103 institutional bodies of second level in Italy, including 80 active provinces, two autonomous provinces, six free municipal consortia, 14 metropolitan cities, and Aosta Valley region. Additionally, four provinces in Friuli Venezia Giulia were abolished and replaced by 18 unions of municipalities. The Province of Sardinia and Corsica (Latin: Provincia Sardinia et Corsica, Ancient Greek ἐπαρχία Σαρδηνίας και Κορσικής) was an ancient Roman province including the islands of Sardinia and Corsica. Victor Amadeus II (Vittorio Amedeo Francesco; 14 May 1666 – 31 October 1732) was Duke of Savoy from 1675 to 1730. He also held the titles of marquis of Saluzzo, duke of Montferrat, prince of Piedmont, count of Aosta, Moriana and Nice. Louis XIV organised his marriage in order to maintain French influence in the Duchy, but Victor Amadeus soon broke away from the influence of France. At his father's death in 1675, his mother took over a regency in the name of her nine-year-old son and would remain in de facto power till 1684 when Victor Amadeus banished her further involvement in the state.Having fought in the War of the Spanish Succession, he became king of Sicily in 1713, but he was forced to exchange this title and instead became king of Sardinia.Victor Amadeus left a considerable cultural influence in Turin, remodeling the Royal Palace of Turin, Palace of Venaria, Palazzina di caccia of Stupinigi, as well as building the Basilica of Superga where he rests.